Five young composers were recommended by leading composers of the avant-garde including Wolfgang Rihm, George Benjamin, Beat Furrer, Hans Abrahamson and Gerard Pesson to participate in the third Workshop for Contemporary Quartet Music. Each of the young composers was invited to write a quartet for performance by the Arditti Quartet who acted as quartet-in-residence under the guidance of Brian Ferneyhough as composer-in-residence. Very exciting works were created by Steve Potter [U.K.], Hannes Kerschbaumer [Italy], Louis Aguirre [Kuba], Jan Masanetz [Germany] and Michelle Lou [U.S.A.], The atmosphere during the workshop period was exciting especially as Brian Ferneyhough, a most experienced teacher, worked with each of the students after the initial play through by the Arditti and subsequently, to improve their compositions in readiness for the performance. As a result of an agreement between the Hepner Foundation and the International Music Institute Darmstadt, the premier performance of the new quartets was scheduled in Darmstadt for July 18 2010. The concert took place in the Orangerie in Darmstadt attended by a large audience and was broadcast by Radio Hessen. 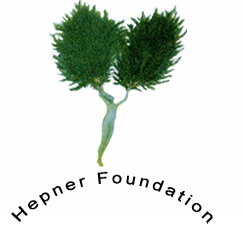 On conclusion of this workshop and concert it was decided to continue with the partnership between the Hepner Foundation and IMD for the 2012 workshop.